Below is a list of the liveries worn by BEA aircraft throughout the carrier's history. 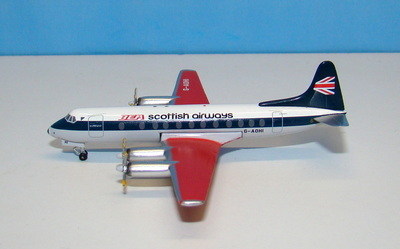 Hybrid schemes are not shown. Main dates are years aircraft were actually painted in the colours. 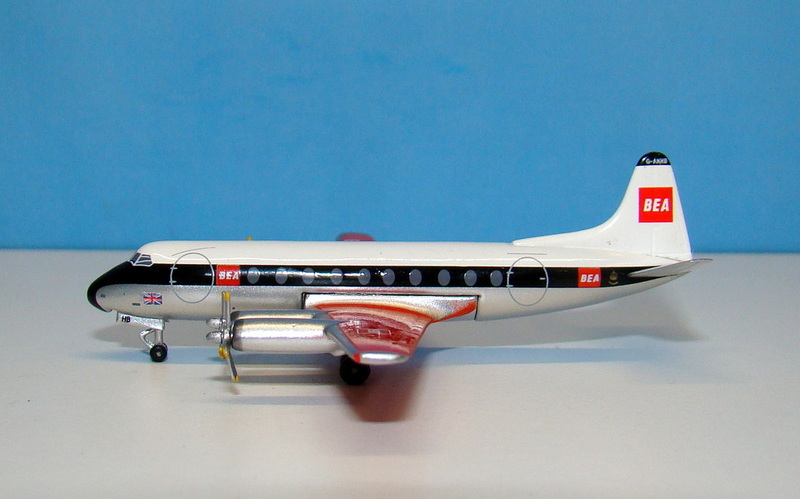 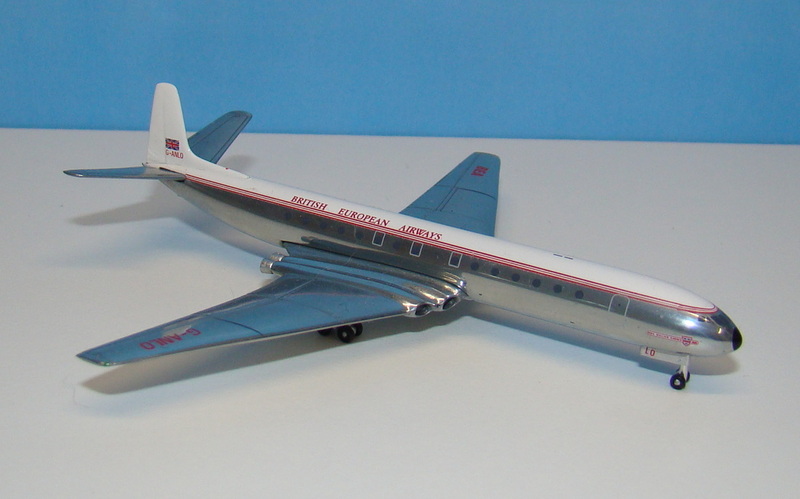 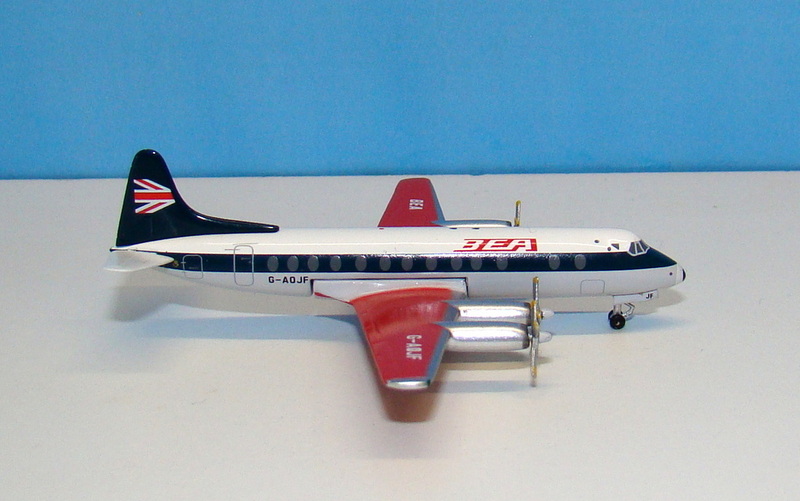 Dates in brackets are for years aircraft wore the schemes (thanks to 400Scalehangar member 'Hawaii' for those). Several natural metal schemes were worn immediately postwar. The first seem to have had no fuselage colours but a small Speedkey logo on the tail inside a red circle (see JU-52 and Dragon Rapide below). 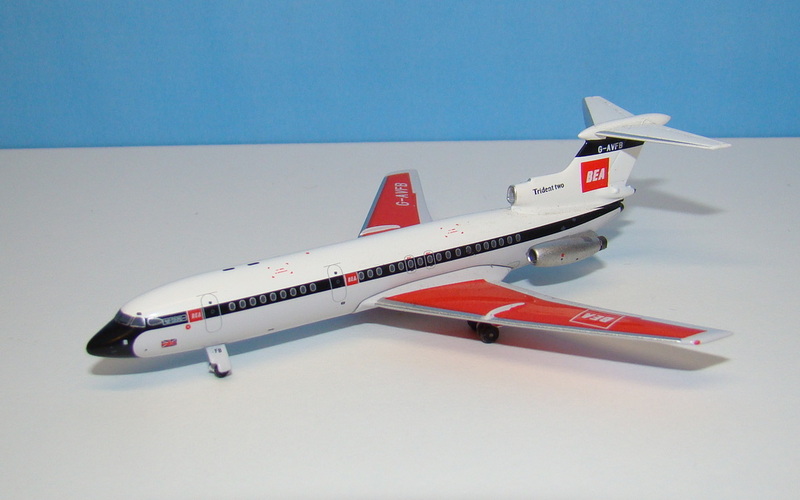 The later Speedkey design can be seen on the Viking with a larger red Speedkey on the tail and a broken two part red cheatline above and below the windows. 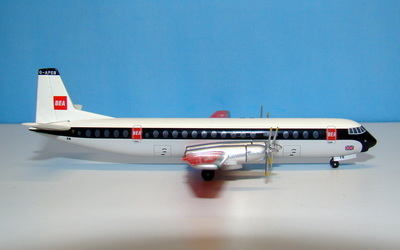 White crown with two thin red stripes splitting fuselage into white and silver portions. 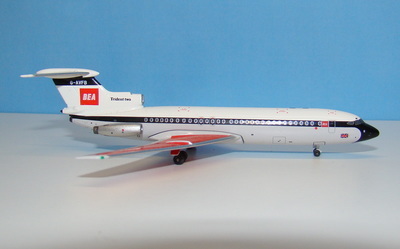 Crest on nose containing three crowns. White tail with small Union Jack. New Red cube logo on tail and breaking thick black cheatline forward and aft. Red wing tops. 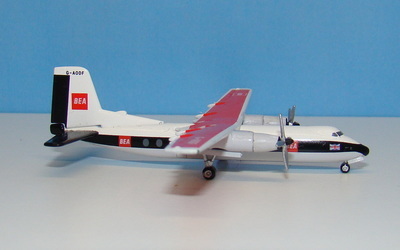 As 'Small Red Square' except tail logo increased in size and moved forward. 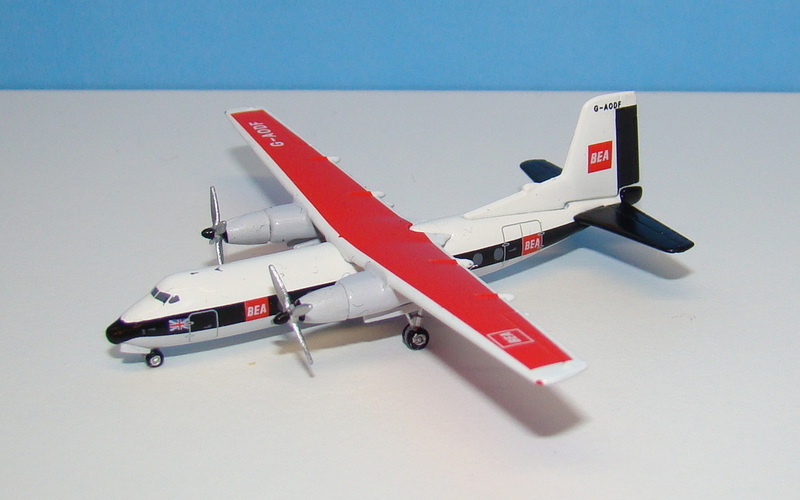 New dark blue cheatline running full length but not onto radome. New hollow titles and quarter union jack flag logo on tail. 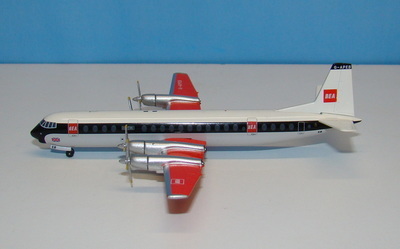 Red wings remain. 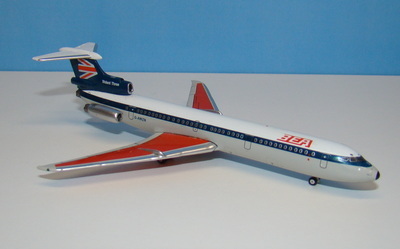 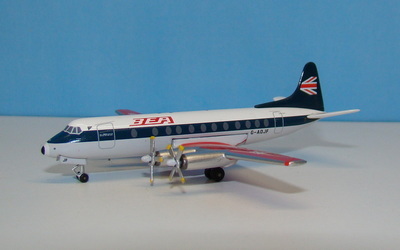 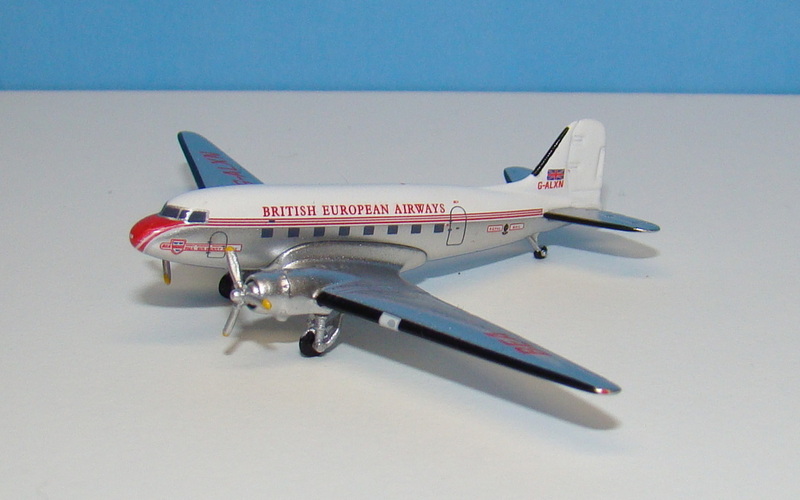 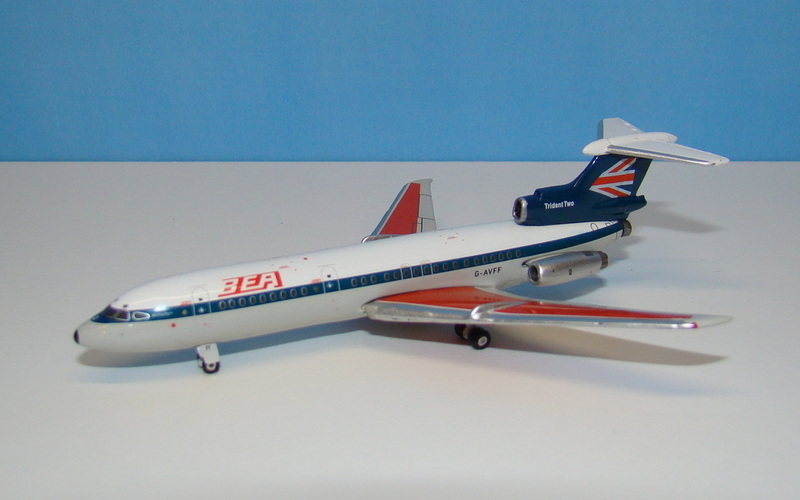 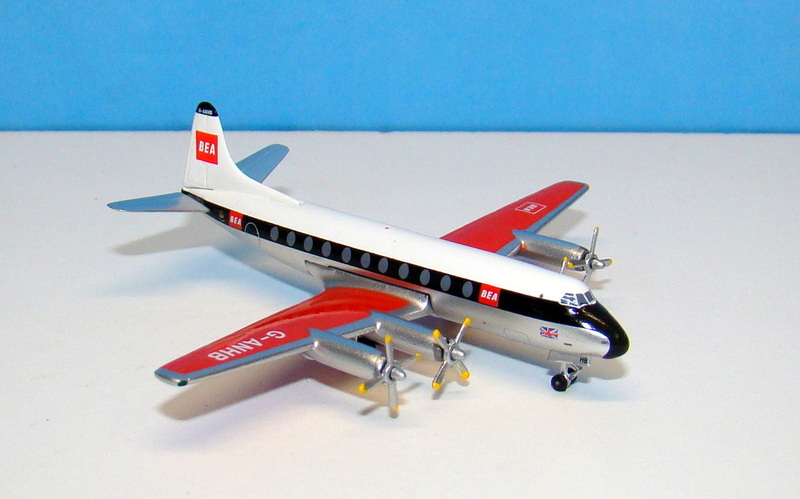 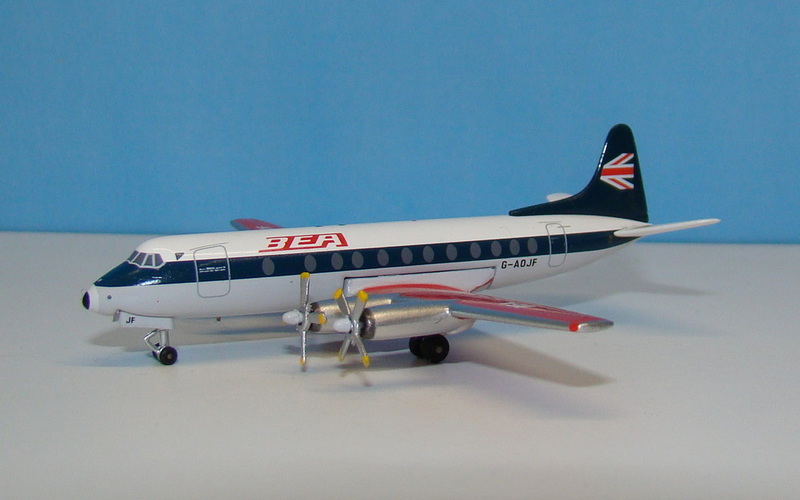 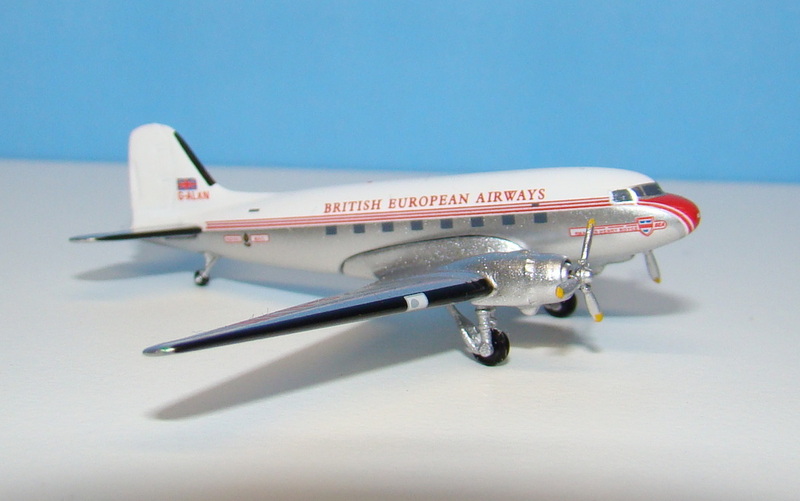 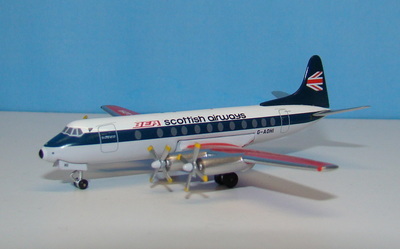 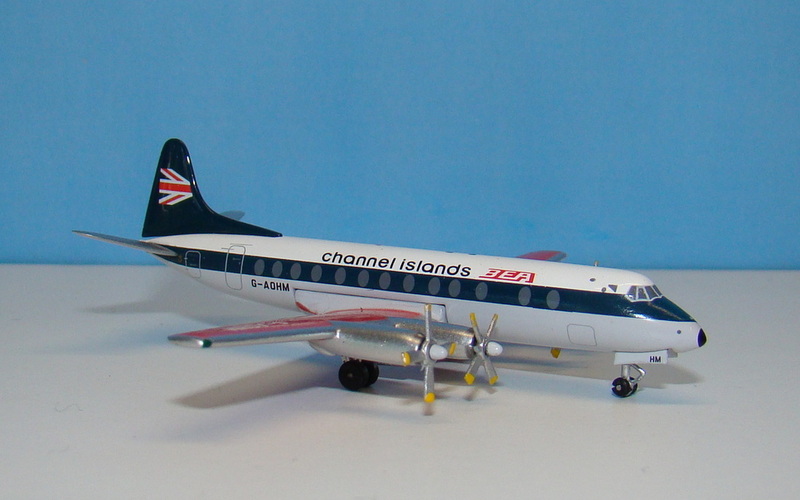 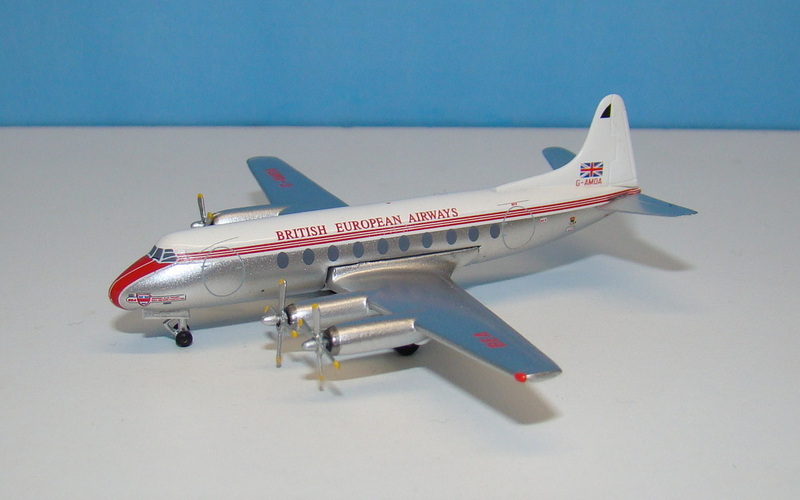 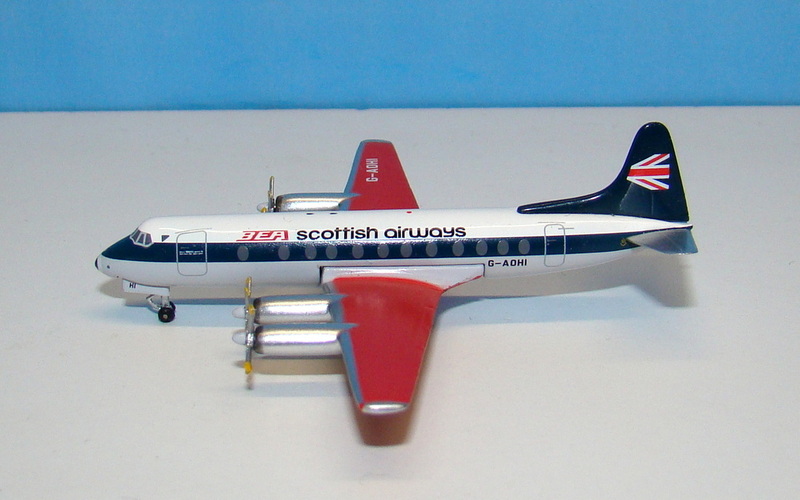 In 1971 BEA spun off several regional divisions to create BEA Channel Islands and BEA Scottish Airways though their semi-independence was short-lived.